It can be nearly impossible to choose the Right Web Hosting Company with so many different options to pick from, especially with the fact that not many web providers are willing to admit any of their weaknesses, so you only find out once you buy the product. Without proper guidelines or your own prior experience, you will have a hard time separating quality and quantity. The sole reason for this article is to help anyone stuck with this choice to make a more informed decision. When thinking about a web host for your online business, think about a host that prioritizes your online business and its accessibility. By that, I mean you must find a host that can provide you with the necessary feature mentioned below. I have compiled the list of the features that needs to be considered before making this very important choice. Each will include a brief description of why each feature is important. Make sure your new web host ticks all the boxes. NB: They are not in any particular order of importance as none is any more vital than the other. First things first, you need to be able to pay for your hosting. 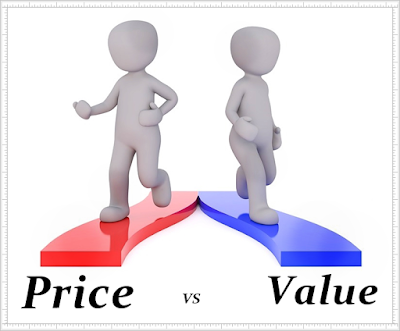 Remember affordable does not necessarily mean cheap, it means a reasonable price that can cater to a reliable service. Many quality web hosts range between $2-15 for basic plans. Free web hosts and those who charge less than $2 may not offer top notch hardware and customer support. Do a service VS cost analysis to determine whether you are paying for value. 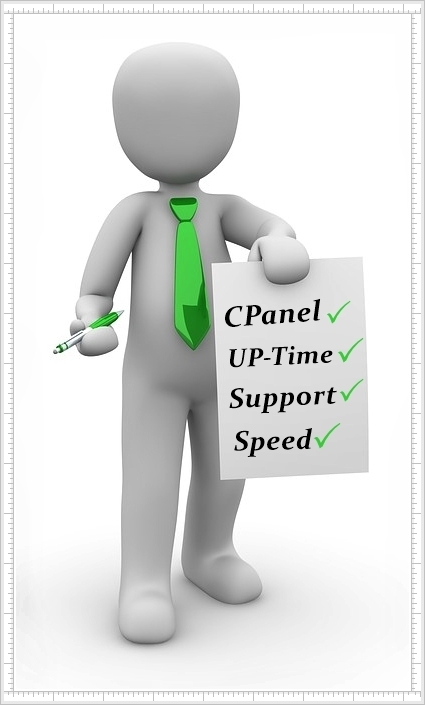 Make sure the web hosting provider has customer support priority. This is a big one by many opinions, including my own. Your web hosting company should have a reputable customer support. Imagine having a full running blog or site with traffic, and something goes wrong, for instance an error with a script or a site that failed to load and then on top of it all you get poor technical support, implying your site is down or. Having 24/7 live support helps solve problems faster, and if you look harder, some web hosts will give you multiple level support, including call, chat and email, every day of the calendar. It is even better when the customer service is in-house compared to outsourced customer. Make a point to select a hosting company that has good support. Remember with any successful blog, website or sales page time is money. Is the hardware up to date? When you finally get a candidate that you feel you can host with, you should have an idea of the hardware that the company uses to ensure quality servers that do not break down too often. Some companies may use small or outdated equipment unknown to you until the downtimes become too frequent for your liking. 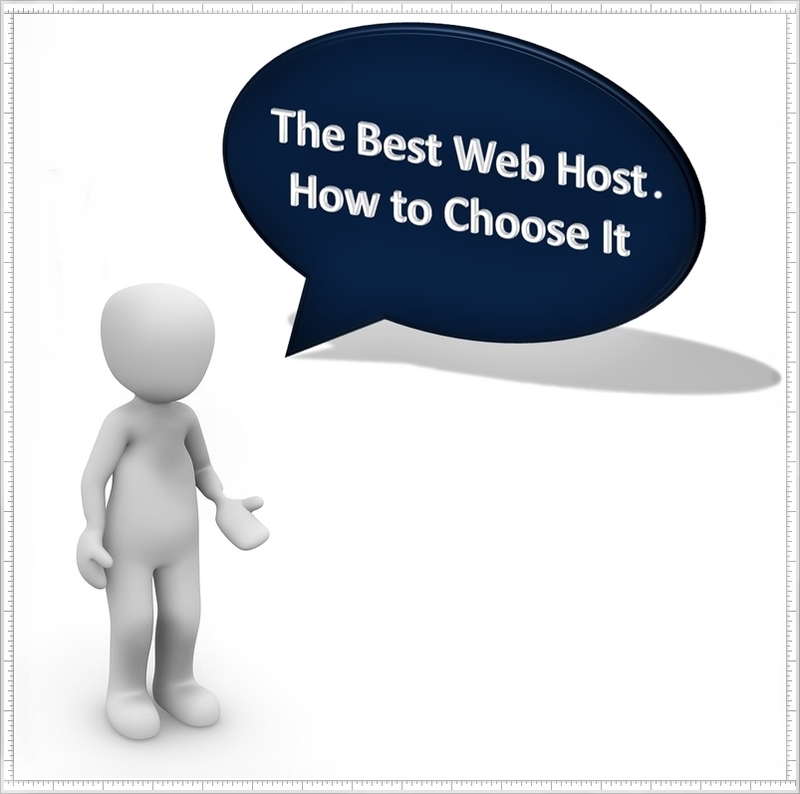 This would be the most crucial part when deciding upon a hosting company. It is very frustrating when you commit hours of hard work building a site and promoting it, just to discover that you're driving traffic to a dead spot in cyberspace, meaning that your sites are down and cannot be viewed by the visitors that you had sent there in the first place. Once you are down and the error page flips up on your visitor’s browser, it can do massive damage, for you will lose all the traffic eventually that you had built on if the problem remains. I make sure to stick with reliable hosting companies that at the least provide 99% up-time since I spend a lot of money on driving traffic and I need my pages to open assured. You have to find out what email features you are getting with your potential host. Does the host allow you to set up your personal email addresses that you want on your domain? Do you get protection from spam, viruses and malware that can threaten your email addresses? These are important questions to ask and you will be mistaken to underrate them. If the host has not told you about any of these features first hand, go ahead and ask for yourself. Any extra features and add-ons offered by a Hosting Company are always welcome and sometimes can be the deciding feature between one hosting company and the other. These add-ons can range from anything between personalized support, data backup, security and privacy, data centers, set up and maintenance, energy policies, data backups, Google advertising etc. Intimately I don’t like to look foolish online, but when it bears on hypertext mark-up language and anything that looks like a encrypt or demand I tend to experience an anxiety moment, and installing a plug-in or script equals about all I have the patience for, I still give thanks to the online creation of WordPress each day. I try to use hosting providers that have a manageable control panel with an easygoing user interface that is quick to learn and manage on my own without being forced to demand assistance every time I need to make major chances to a website. Whenever you're seeking for a hosting provider attempt to see what the control panel looks like and how it works prior to purchasing. Every hosting company has shared hosting accounts which help keep a vast number of websites online. There is no limit to how many accounts these servers can host, but the key factor to consider is whether this kind of loading can affect speed. 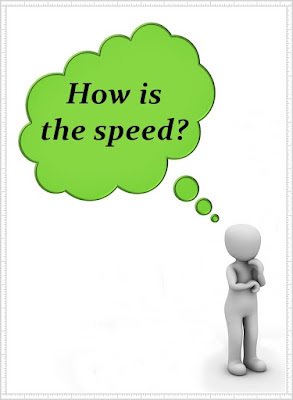 It is the responsibility of a web host to create a balance between performance and speed. If a provider does a shady job with their own website, who is to say they will do better with yours? Just have a glance at their personal/business website and make a verdict if you are contented with what you see judging from the speed and interface. Now I acknowledge what most beginners think when establishing their first websites or sales pages, “I don’t need that much space now” Wrong! As time elapses your non-textual matter and sales pages will increase, or for that matter you will add more pages to your main sites or even add more websites or blogs. Sure enough a blog or website does not absorb that much space (hinge upon graphics, size and format), but when you add free stuff like eBooks, video or slide shows, you will notice that your size limit will be exhausted very rapidly. I solely prefer hosting that provides me with unlimited disk space, for it ends up being more affordable in the long run and I will not need to purchase more space later on. Several individuals neglect this important part when it bears on choosing a hosting company. Most of us had started out small originally, but as our online businesses grow so does the traffic. (If done right ha ha) I had discovered that a simple sales page can easily pull in traffic in no time with the right marketing campaign, in addition to free offers that get downloaded a lot, making the 200Mb seem like nothing. Trust me, you do not want to run out of bandwidth on a busy site. Rather go with hosting that has unlimited bandwidth, this will give you peace of mind and the ability drive as much traffic as you please, without having to monitor your site on a daily basis. Everybody online has different demands, some prefer to build full scale websites with loads of pages, other people feel the need to haul up individual sales pages and so forth. An effective hosting supplier should provide packages that accommodate every individual’s needs; there is no point to buy a larger hosting plan if you intend to run a blog as a part time income or possibly even a hobby. Hosting companies should give you the alternative to upgrade or even downgrade whenever you feel the need to. It would be inaccurate to conclude there is a perfect web hosting company in the market. Hosting for free or over-paying for the same services you get at lower prices is also a waste of resources or potential since free hosts limit your features and overpaying does not guarantee that the host is better than others. Cheap on the other hand means the company cannot afford to pay for the best features or support. The best option will be to settle for a host that caters to your business personally and those attributes you can live with, preferably the ones I mentioned above. You are a Star and made it all the way to the end! Thanks for reading the article. Please do not leave without leaving a comment. Feedback is always appreciated. I am thinking about a new business. My business will be medium size. But i am really confused that which hosting option will be best for me? All depends on what kind of website you plan to develop. Also, do you want to rely on organic traffic (SEO) or do you plan to drive traffic yourself? Do you have a budget? With cheap hosting, you will get what you pay for. If you want quality, specifically a hosting program that will give you the best change to get first page rankings, then sadly it will cost a bit more. If you are on a budget, Blue Host would work the best. Their reputation is not bad for the price you pay. Thank you so much! I found your work to be invaluable to my goal to offer those whom I council the best possible guidance in developing an online Brand. Before choosing a web hosting platform, we should do some investigation on the space, speed, services, and many others. There are several kinds of web hosting providers portals are available in the market which provides good web hosting service to the webmaster which consists of effective service. As a business owner, I consist of a business website and I definitely take the service of a web hosting provider to get the best hosting service.